Millennials, we are told, have a different attitude to work than their elders. They want to work for organisations committed to values and ethics, where there is a higher purpose than simply making a profit. 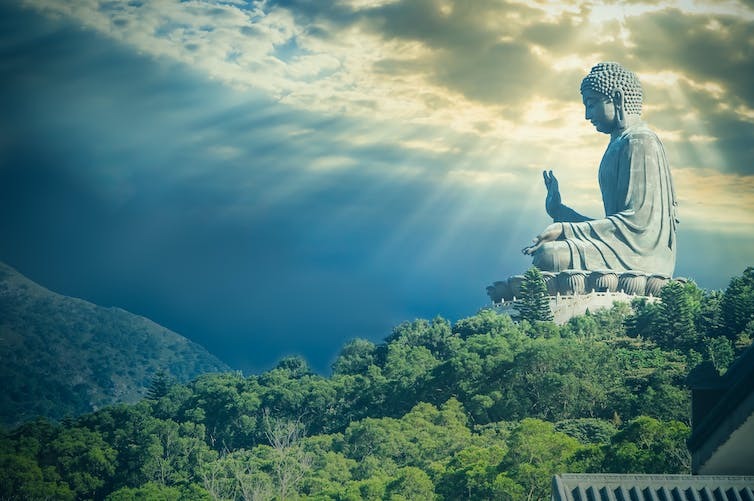 Businesses wanting to attract the best millennial talent might therefore learn a few lessons from ancient spiritual teachings, such as those of Buddhism. The fourth largest religion in the world has been focused on attaining a higher meaning and following the path to moksha – liberation – since the sixth century. Organisations, especially in the non-profit and charity sector, can re-energise their employees by aligning the way they measure performance with the principles of Buddhism. This could also improve productivity, an important measure of economic activity and living standards. These were the findings of our research. We interviewed 63 executives from not-for-profit organisations and found that most had simply imported practices and strategic models from the business world to measure their performance. Unfortunately, this is a world driven by maximising profit, which goes against the underlying purposes of these organisations. Many studies have established that most staff are not only motivated by money, while the carrot and stick approach, which mixes reward and punishment, is also outdated. Employee engagement is now the ultimate goal for managers and it involves more than just job satisfaction. It might be that an individual is perfectly content with a job and yet not engaged in it. Instead, engagement is found where work is absorbing, and to which employees feel naturally dedicated; work that one gets wrapped up in and is energised by. Engaged employees are prepared to go beyond the call of duty and actually drive the business; they show up because they want to, not because they have to. Employees and businesses benefit from an injection of spirituality. Some might think spirituality and business should not be mixed in together, but both play an important role in society and people’s lives. They should be seen as interdependent. Spiritual disciplines may very well offer insights into techniques for achieving lasting employee engagement that everyone is searching for. At the very least, ancient wisdom could offer some lessons for understanding what it means to seek and achieve higher meaning in your life. This is perhaps even more applicable in not-for-profit organisations. Many non-profits use standard performance measures, that have been tailored to help traditional organisations maximise revenues while reducing costs. The rationale provided for the use of performance measurement is also usually a commercial one, suggesting that measurement only supports efficiency and effectiveness. This can obscure their ethical and benevolent dimensions. Focus instead is placed on understanding data like the number of products delivered, or what rating a service has in numerical terms. Employees are rewarded for their capacities to score highly on given criteria. Although none of this is inherently wrong, it means that discussions and attention are pushed towards money. Meanwhile, rich social interactions, trust, and positive, but unquantifiable, stories go unnoticed and unrewarded. Employees would be better able to believe in their organisation if it’s clear that their performance measures drive social connectedness and create social value. Our research found that spiritual philosophies can provide this. Buddhism, for example, teaches its followers to take greater personal responsibility for their actions, to have a healthy detachment where necessary, and embrace a wholesome view of their actions. This can include how socially connected and conscious employees are, but also their entrepreneurial awareness. Risk-taking and innovation are core to many of these organisations so employees must have the mindfulness to evaluate and exploit opportunities when they arise. It also applies to financial meaning – how money is spent, but also where it comes from. Spiritual rationales for goals and activities can complement commercial ones. Most employees in the non-profit sector want to help people and this is what motivates them to work in this industry, often for less money. Evidence also suggests that embracing spirituality within organisations may lead to better decision-making, enhanced creativity, reduced absenteeism, and greater emotional control. Buddhist principles are not just for not-for-profits, however. Spiritual principles such as higher meaning, awareness (of self and the environment) and connectedness (belonging to a community), are likely to be relevant in other sectors, particularly if corporations want to re-engage and re-energise their workforce. Many are already dabbling in this with corporate social responsibility programmes, corporate volunteering, and sustainability targets. Several large companies, such as Google and the retailer Target, are even already adopting spiritually-informed practices to reap some of these benefits. But management practices such as measuring performance have not caught up with the deeper desire that many employees might have. We are just scratching the surface of how we can find more meaning and more productivity from our work. The book about Greggs gives you the inside view of how Greggs came about and grew into what it is today. It’s a good read and may change how you think of Greggs, the big chain it is today that started as a mom & pop undertaking not unlike my own parents’. Hilary Devey’s Bold as Brass is suitable for everyone – unless you happen to be a misogynist. It’s a touching book, showing you how Hilary grew up in Britain, the many personal and professional challenges she had to overcome and how she developed Pall-Ex. Throughout her life, Hilary climbed many steep cliffs and was pushed off a few too. They make very good reading. The first book helps you develop an understanding of the principles behind laws (and partly also why judges sometimes decide the way they do). The second book is handy for when you are doing business with companies in other countries, and the third one can make you see where people from other cultures and countries are coming from. Concepts like “truth”, “time” and “pain” are not as fixed as we tend to think but have strong cultural components.